A sarcastic postal worker and his equally snarky wife raise their kids in small apartment in New Jersey, despite needing more space. A comedy the whole freakin' family will love. Much-bleeped comic Andrew Dice Clay (need I really go on?) headed the cast of the borderline abusive Honeymooners rip-off. Bless This House seemed determined to show that love means always having to say you are sorry. 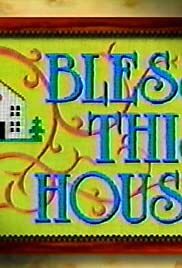 Watching this series which co-starred Cathy Moriarty as long-suffering wife Alice (blasphemy!) was like overhearing your neighbors arguing. If only we could have called 911.